The skin is the largest organ of the body. It weighs between 6 to 9 pounds and has a surface area of approximately 20 square feet! Our skin forms a protective barrier between our bodies and the outside world, including from heat, cold, wet, dry and pathogenic organisms. From a naturopathic perspective, when the skin is showing signs of disease, it is often evidence of a problem deeper within the body that is showing itself on the surface. Acne is a condition which generally begins in adolescence, and resolves by young adulthood. Teens often suffer with acne at a time in life when a lot of changes are occurring and as a result it can be a stressful condition to deal with. 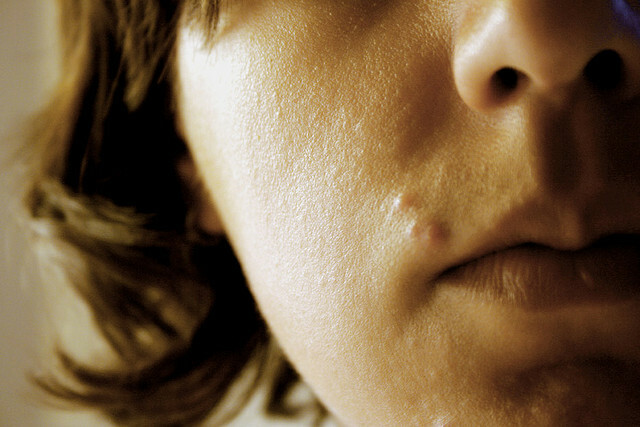 Acne is much more than a low grade bacterial infection. Acne is influenced by hormones and involves excessive sebum (fat) production and blocked pores, leading to bacterial replication. Conventional acne treatments include Clindamycin (antibiotic), benzyl peroxide and Accutane. These treatments have their pros and cons but ultimately are not ideal for every individual. Clindamycin is an antibiotic which can disrupt the body’s natural bacteria balance and pathogenic bacteria also tend to develop resistance to antibiotics. Benzyl peroxide can cause drying and reddening of the skin and Accutane is potentially very toxic. Accutane and has been correlated to increased rates of attempted suicide1 and causes birth defects if taken during pregnancy2. Naturopathic medicine takes a holistic approach and as such a typical treatment plan would factor in diet changes, lifestyle modification, nutritional supplementation and/or topical treatment. Research supports naturopathic treatments such as avoiding specific foods3 and topical niacinamide (Vitamin B3) gel4. Atopic dermatitis (eczema) is largely a disease of childhood5, with 85% of eczema cases occurring before age 1 and 95% of cases occur before age 5. Although 50% of cases resolve during childhood, 50% of people with eczema will experience symptoms and flare-ups into adulthood. At any given time 1 out of 100 adults have active eczema. The cause of eczema is classically labeled as “unknown”, however it is well understood that there is a significant allergic component. Patients with eczema are more likely to have asthma6 and seasonal allergies7. Research has also shown that dietary changes and “allergen avoidance”8 can have a significant impact on eczema. 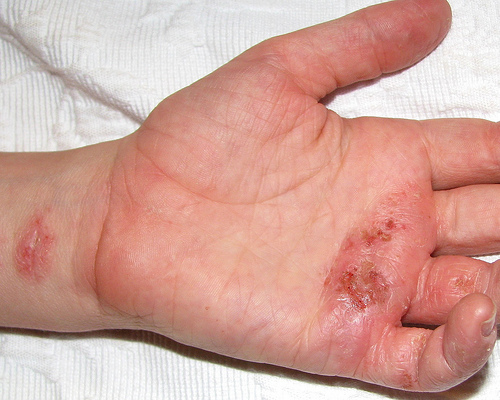 The primary symptom of eczema is significant itching. Many sufferers will also experience reddening of the skin, crusting, cracking, weeping and scaling. Conventional treatments include topical corticosteroids, calcineurin inhibitors, anti-histamines and oral corticosteroids. While these treatments have their place in symptom management they do not treat the cause of the condition, which may include specific food intolerances, symbiotic bacteria disruption and immune hypersensitivity. Naturopathic treatments work to restore balance in the body rather than suppressing the symptoms of disease. Psoriasis is quite a common condition, affecting 1-3% of the population and is most common among people 15-35 years of age. There is a genetic component to psoriasis, as one-third of sufferers have a family member who also has psoriasis. 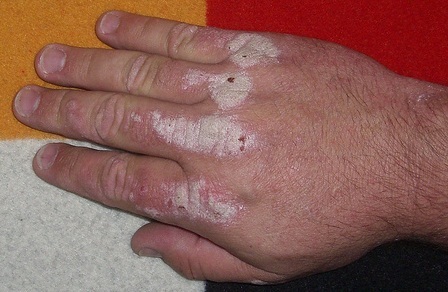 Psoriasis is characterized by excessive growth of the surface layer of skin, resulting in thickened, scaly, silver-white plaque formation and inflammation. The plaque formation and inflammation lead to irritated skin and itchiness. The most commonly affected areas include the skin of the knees, elbows, scalp and lower back. Like eczema, psoriasis tends to remit and have periodic flare-ups over time and can be triggered by a variety of factors. Some common triggering factors for Psoriasis include eating specific aggravating foods, stress, alcohol, skin injury, infections and some medications. Conventional treatment includes topical corticosteroids, topical vitamin D analogues and topical coal-tar. A naturopathic approach would include dietary changes, digestive support and in some cases supportive topical treatments. Food sensitivities, specifically gluten9, have been linked to worsened symptoms of psoriasis. The skin is heavily influenced by the body’s internal milieu and is often a warning sign when something is wrong internally. For this reason it is vitally important to eat a clean diet and keep the food/body interface (the gut) healthy. Sundström A, Alfredsson L, Sjölin-Forsberg G, Gerdén B, Bergman U, Jokinen J. Association of suicide attempts with acne and treatment with isotretinoin: retrospective Swedish cohort study. BMJ. 2010 Nov 11;341:c5812. Stern RS, Rosa F, Baum C. Isotretinoin and pregnancy. J Am Acad Dermatol. 1984 May;10(5 Pt 1):851-4. Shalita AR, Smith JG, Parish LC, Sofman MS, Chalker DK. Topical nicotinamide compared with clindamycin gel in the treatment of inflammatory acne vulgaris. Int J Dermatol. 1995 Jun;34(6):434-7. Burgess JA, Dharmage SC, Byrnes GB, Matheson MC, Gurrin LC, Wharton CL, Johns DP, Abramson MJ, Hopper JL, Walters EH. Childhood eczema and asthma incidence and persistence: a cohort study from childhood to middle age. J Allergy Clin Immunol. 2008 Aug;122(2):280-5. Krafchik BR. Eczema. Paediatr Child Health. 2000 March; 5(2): 101–105. Halken S. Prevention of allergic disease in childhood: clinical and epidemiological aspects of primary and secondary allergy prevention. Pediatr Allergy Immunol. 2004 Jun;15 Suppl 16:4-5, 9-32. Damasiewicz-Bodzek A, Wielkoszyński T. Serologic markers of celiac disease in psoriatic patients. J Eur Acad Dermatol Venereol. 2008 Sep;22(9):1055-61.